During those hot and humid Nashville days, there is nothing like staying cool inside with an air conditioner (and maybe some sweet tea). So we understand how dire it can be when your trusty air conditioner suddenly isn’t working as it was or should be. If that unfortunate situation should happen to you, don’t leave yourself without air conditioning for long. Instead, call Nashville company Halo Heating and Cooling so we can get you back to putting your feet up in a cold, comfortable home in no time. The number to call for air conditioning repair in Nashville is (615) 383-4822, or please feel free to fill out the service form on the right. Our staff will be in touch right away to make your home feel Heavenly again — that’s just what we do. 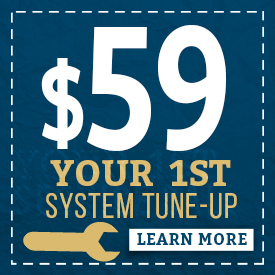 If your Nashville air conditioning system seems like it’s not running right, don’t wait until it breaks down. Maybe you noticed that your energy bill went up for no apparent reason or the system seems to have trouble running yet the air in your home isn’t getting cold enough. You can save your system just in the nick of time to avoid being stuck in any hot Nashville days without a working system to cool you down. All you have to do is call us at Halo Heating and Cooling! We can perform maintenance and AC repair for your Nashville home to prevent the system from dying. Our service technicians have the knowledge and experience to fix all of these problems. But if it’s too late and your air conditioning system has already broken down, don’t worry. Our air conditioning repair company can handle that too. We will send a technician to perform the necessary repairs and get it working again. It might be the case for your home in Nashville that an AC system replacement is the right move over getting repairs. This choice can make sense if the repairs are continuous or extensive, and end up costing you more than it would cost to replace the unit. 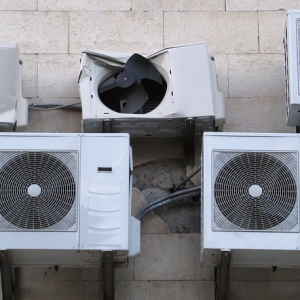 A replacement can also be the right choice if you have an outdated system that is costing you extra money by using more energy every time it runs. In many cases, a unit that you’ve had for over seven years is one that should be replaced. Also, older systems use refrigerant that is not safe for the environment, so an updated system can help you be more eco-friendly in that area, as well as by running a more efficient system that saves energy. 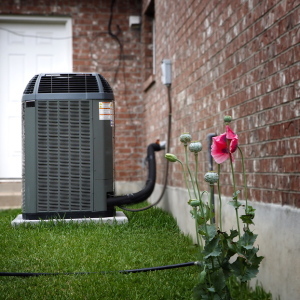 Even if you’re reading this page when it’s not currently the season to use your air conditioner, there’s no time like the present to have it inspected and maintained. This way, you can ensure that it will work properly on that first hot day when you need it. You can also prevent the need for extensive repairs through proper maintenance and by catching problem spots at an early stage. When you contact Halo Heating and Cooling for your air conditioning repair service, we will send a specialist to inspect your system and find the problem(s). Then, we will fix the system, or we might need to order a part or recommend a replacement. We’ll discuss the situation with you at the time of our visit. 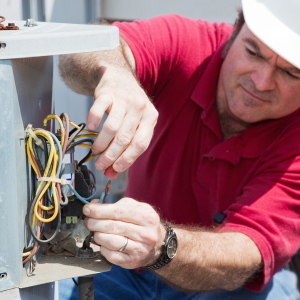 For each Nashville AC repair we perform, we send a qualified technician who has the knowledge and expertise to do the job right. You can also rest easy knowing that we perform background checks on our service team and they show up in professional attire. You can trust the service staff that we send to your home. Our expert AC repair contractor can work on any type of air conditioning system, no matter its brand or its age. At Halo Heating and Cooling, our number one priority is to create what we like to call a “Heavenly home.” That means a home that is warm when it’s cold out, cool when it’s hot out, filled with clean air and above all, comfortable. Allow us to perform an inspection so we can determine how to make your home more Heavenly. Working with our company provides you with a number of benefits. First, we are an environmentally-friendly company that strives to make your HVAC systems more energy efficient, which saves you money at the same time. In addition, we stand by our service with a two-year workmanship warranty and a 100 percent satisfaction guarantee. We also strive to provide affordable services so you can get the work you need. Nonetheless, we don’t skimp on our parts or our level of service, so you get a great value all around. Are you interested in savings and peace of mind through a protection plan? Then ask us about our Halo Comfort Club. The Halo Comfort Club keeps your home protected by providing routine maintenance throughout the year at a very nominal price. You can learn more here. Feel free to call us for all of your residential Nashville HVAC repair needs. We provide heating and air quality services in addition to our Nashville air conditioning repair and maintenance. If your air conditioner isn’t working right or won’t start at all, don’t delay! Call Halo Heating and Cooling for quick repairs. When you call (615) 383-4822 or fill out our website service form, we will contact you right away to set up a service appointment. We will give you a Heavenly home, which includes staying cool on those scorching Tennessee days.